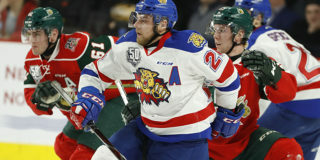 MONCTON NB – Wildcats forward, Alex Khovanov’s season has been extended after receiving word that he will be joining the Iowa Wild of the AHL for their upcoming playoff run. Khovanov was drafted in the third round, (86th overall) by the Minnesota Wild in the 2018 NHL Entry Draft. Following another successful season in Moncton, the Minnesota Wild officially signed him to a three-year entry-level contract at the end of March. The 19-year-old Russian born forward appeared in the Wildcats lineup for 64 games during the regular season, posting an impressive 25 goals and 49 assists for a 74 point season. Alex was able to carry that momentum over into the Wildcats post-season, notching 10 points in 10 games played. 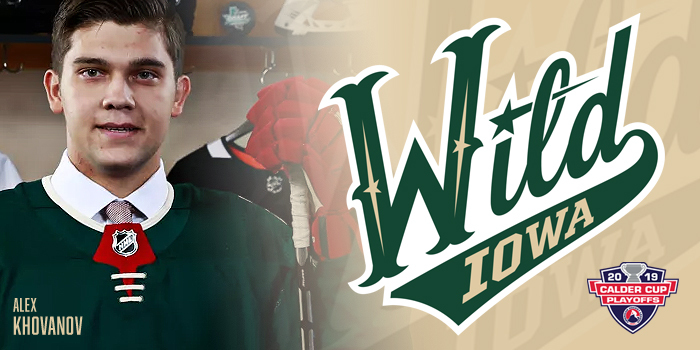 The Iowa Wild have clinched their first playoff birth in franchise history this season. Round one of the Calder Cup Playoffs will start with the Wild hosting the Milwaukee Admirals. Game one and two will be played at the Wells Fargo Arena Sunday April 21st and Tuesday April 23rd.